Tourists planning to go to Buleleng for serenity might want to reconsider going on August. The north part of Bali normally a perfect escape from the hustle bustle of the south. However, on that date. The city holds a cultural event Buleleng Festival (Bulfest). This annual event replaces the tranquility with music and dance. Buleleng Festival presents the precious Buleleng tradition and heritage to the audience. It begins with a parade and spans for a week. Buleleng festival is full of fascinating cultural sub-events. It comes with a parade of dance shows, music shows. Follow by exhibitions and a culinary festival. This year marks the 7th time the government organizes Buleleng Festival. The theme for 2018 was The Spirit of Pluralism, celebrating multi-ethnic diversity this region has. There were three zones at the venue. The Zone A is a venue for the carnival and parade. While zone B at Sasana Budaya Building is the exhibition venue. Veteran Street in front of Sasana Budaya will transform into a culinary bazaar. Last year up to 64 food vendors serving a thousand portions of food. 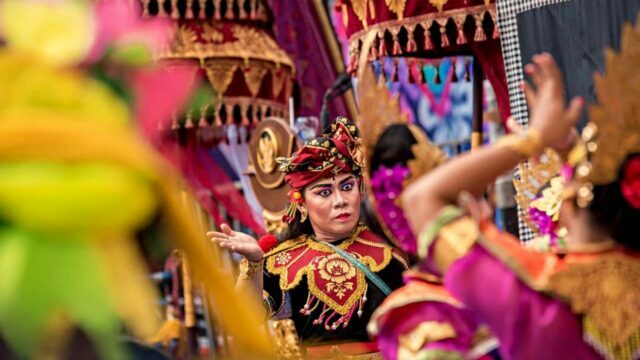 The carnival is one of the most fascinating parts of Buleleng Festival. Ten thousand citizen just stop whatever they're doing. Then flock the street to watch the carnival. The theme always changes throughout the year. But in general, it speaks one thing: The region's tradition and its tourism potential. Models parade through the city wearing Endek. The traditional Buleleng woven fabric. Some display dramatic costumes inspired by the city's agricultural products. Ngelawar is a Bali tradition of making Lawar. It's basically a Balinese dish. A portion of Lawar is a mixture of vegetables and minced meat. 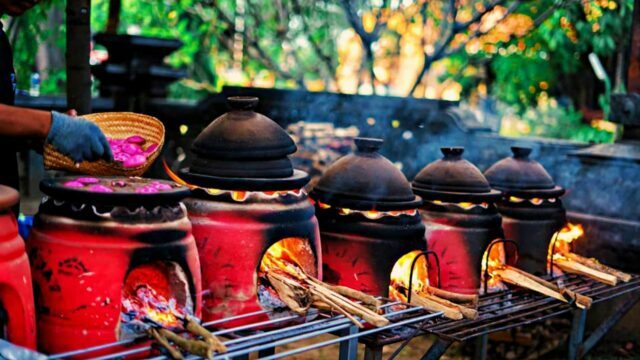 It's a dish massed-produced in a village when Galungan Holiday is coming. Each region has a different tradition and that's why it's a part of Buleleng Festival. Dozens of villages show off their skill in making and serving the best Lawar. No competition here, in the end, everyone just eats together. 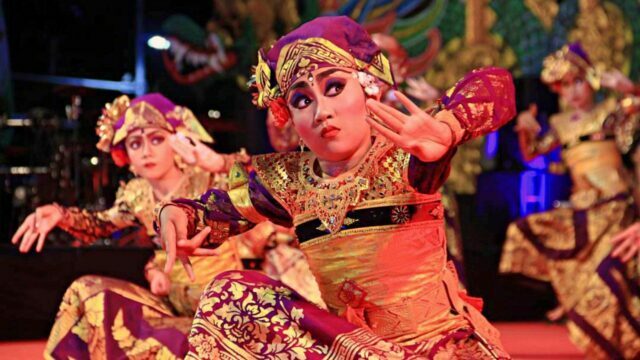 Buleleng Festival presents its famous variant of Janger Dance. A group of girls dances alongside a group of boys. Each group takes a turn singing and answering each other with a song. 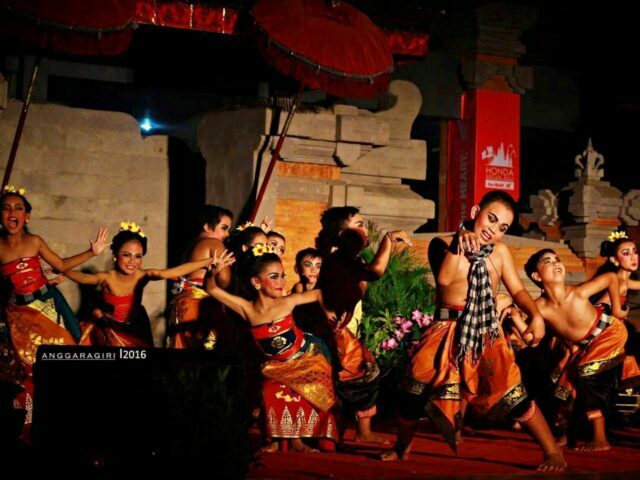 The traditional dance depicts a scene of social gathering between young men and women. The performance is accompanied by a type of gamelan Gong Kebyar, hence the name. Local art studio across the city are more than happy to take part in Bulfest. Enjoy their creations, from choreography to music. Some of them will present a dance performance, either classic or modern. With the music orchestra of Gamelan as the background. Some presents theatrical shows. Such as drama gong, a type of drama unique in Bali. Drama gong usually tells a story adapted from many sources. And it's not limited to Bali folklore. The story then will be retouch with a bit of Bali tradition. A wave of Balinese tradition and culture in the music, the set, and the costume. In 2018, Teater Salem Putih Singaraja presented a drama gong adaptation of "Romeo and Juliet". Buleleng Festivals gives special attention to rock music. Many rock bands come to shake Bulfest's stage. Not only they come from Jakarta. Bali's own such as the renowned rock group SID (Superman is Dead) also completes the lineup. If one happens to be a rock fan. There's no better festival to go then. Exhibitions at Buleleng Festival range from a culinary, agriculture, and handicrafts exhibitions. There's even a job exhibition at Buleleng Festival. Exhibitions run throughout the five days of the event. It's a perfect place to hang around. If there's nothing to see at the stage for the moment. Just walk around the handicrafts stalls to find some nice souvenirs. At the culinary exhibition, taste the finest of Buleleng food rarely found elsewhere in the Island. Belayag is processed rice steamed with special spices. Meanwhile, Daluman is a type of tea made from Daluman leaves. Mix with brown sugar and coconut milk. Then add ice for a refreshing touch. Venues for Buleleng Festival takes place in several spots across Singaraja city. Exhibitions will be held at Gedung Sasana Budaya Singaraja. And also Buleleng Tourism Office at Jl. Veteran. Carnival takes place at Singa Ambara Raja monument in Buleleng city center. It's a 5-day festival, scheduled on 2-6 August 2019. People both locals and tourist can attend this event for free. Nearby: Banjar Hot Spring, Private Pool & Spa Treatment. Buleleng festival committee provides toilets and parking space at the venue. Food and beverages choices are abundant at the culinary exhibition. And for the accommodation, the hotel mostly resides in Buleleng coastal area. Enjoy cheaper rates compared to South Bali's hotel. The price starts from IDR 270k/night for a 3-star accommodation. The cheapest way to go to Buleleng from Denpasar is by bus from Mengwi Bus Station. The fare is IDR 40k per passenger. To reach Mengwi Bus Station, visitors can take the Trans Sarbagita bus from Ngurah Rai Airport. Take the corridor 3 bus with route Airport-Tabanan-Mengwi. By bus, expect 2-3 hours ride to get to Singaraja, Buleleng. Using private transports, there are several options. There is private shuttle such as Perama bus. It takes passengers to Buleleng at a higher price but more comfort. Ticket available to buy online on their website. Another option for transport is by rental car. Tourists can rent a car with driver from rental services across Bali. The rate is around IDR 650K for a day.